We also grow lettuce, arugula and watercress. Our plants grow sustainably and hydroponically (in water). We distribute our live, long lasting plants in attractive packaging to major retail grocery chains, both directly and through distributors. We also serve local markets and restaurants. 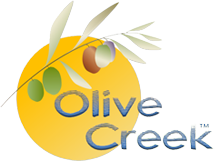 © 2019 Olive Creek Farms. All Rights Reserved.